The Highland Cow Who Can't Hide! A giggle-inducing story of hide and seek antics perfect for children who like to avoid bathtime! A new story starring Hettie the mischievous Highland cow. Hettie's attempts to avoid a bath lead to a hilarious game of hide and seek. Hettie the Highland cow is very mucky. Calum and Kirsty think it's time for a wash but Hettie isn't keen. Quick -- hide! But poor Hettie finds she can't hide in the flock of sheep, or behind the prickly gorse bush, or with the deer in the forest -- she's too big! 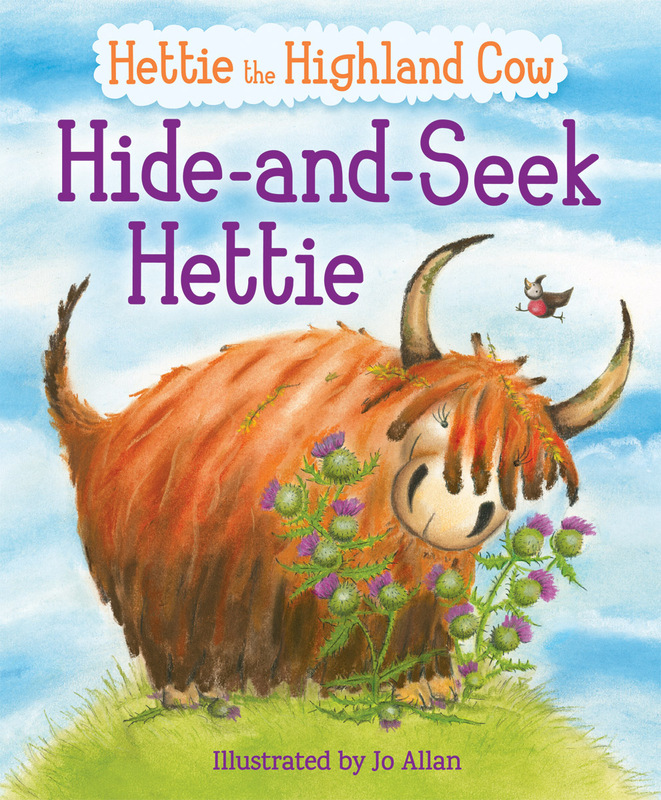 In the third story starring the mischievous Highland cow, Hettie's attempts to avoid a bath lead to a hilarious game of hide and seek. This lively and funny story is brought to life by Jo Allan's characterful illustrations. Jo Allan studied at Telford College in Edinburgh and has worked on commissions for Edinburgh Council, The Forestry Commission and the Royal Botanic Gardens. She illustrated a book of the Gaelic alphabet, which won the Best Children's Book of the Year in the Gaelic Literacy Awards. 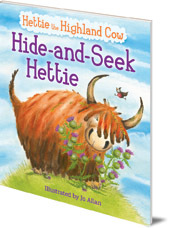 Jo is the illustrator of the Hettie picture books staring a loveable Highland Cow, and she lives in Scotland.